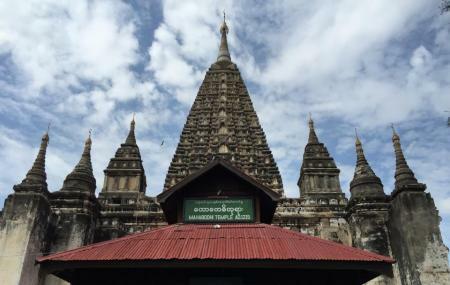 Built by King Htilominlo in the mid-13th Century, the Mahabodhi Paya is one of the numerous temples in Bagan dating back to the ancient era. The temple is modelled after the one which is located in Bihar, India and also shares the same name. It is a calm, quaint place and the scenes around the temple make for a pretty picture. Carry your camera along or else you might lose out on some great photographic opportunities. The temple is a pyramidal structure and contains over 450 images of Buddha. How popular is Mahabodhi Paya? People normally club together Shwegu Gyi Phaya and Thatbyinnyu Temple while planning their visit to Mahabodhi Paya. This is one of the best place and must visit in your life! I think the people in Bagan is super friendly, they love to help, honest and feel peaceful. I met many people in different temple, and I chat with many child, they even feel so tired after asking money, I really l want to help them with some move. I recommend everyone come here, just take the scooter and hang around, even the small temple is beautiful, no need go to big one because it is so crowded, but you can visit of course. I recommend everyone come here! you feel the life is amazing.